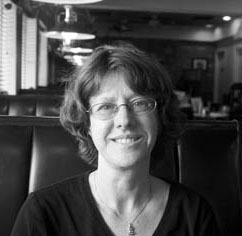 9408 -- 5057 Woodward Ave.
Caroline Maun teaches creative writing and American literature and is the Interim Chair of the English Department. She is the editor of The Collected Poetry of Evelyn Scott, and author of Mosaic of Fire: The Work of Lola Ridge, Evelyn Scott, Charlotte Wilder, and Kay Boyle. Her poetry publications include the volumes The Sleeping, What Remains, and two chapbooks, Cures and Poisons and Greatest Hits. Her poetry has appeared in The Bear River Review, Third Wednesday, Peninsula Poets, and Eleven Eleven. What Remains (Poems). Charlotte, NC: Main Street Rag, 2013. Mosaic of Fire: The Work of Lola Ridge, Evelyn Scott, Charlotte Wilder, and Kay Boyle. University of South Carolina Press, 2012. Greatest Hits: 1999-2010 (Poems, chapbook). Columbus, OH: Pudding House Press, 2010. Cures and Poisons (Poems, chapbook). Columbus, OH: Pudding House Press, 2009. The Sleeping (Poems). Detroit, MI: Marick Press, 2006. The Collected Poems of Evelyn Scott. Orono : Hanover, N.H.: National Poetry Foundation (University of Maine), 2005.